Our goal is to establish a second branch office for CIDOPY/Kleinood in Ituriforest: a medical consult area in Komanda. 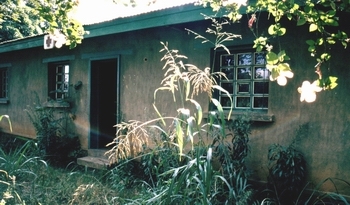 The Centre de Santé run by nurse collaborator Papa Kisangani could be very suitable for this purpose: we are working on a restoration plan for this building (containing 4 rooms). The building was partly destroyed and plundered during the war in 2002, and since then has been overgrown by plants and trees. However, it is worth it to rebuild it.